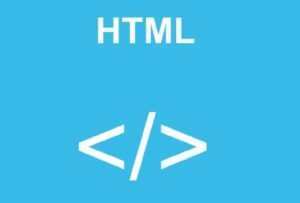 HTML is an acronym for the term HyperText Markup Language (see also http://en.wikipedia.org/wiki/HTML) (used for hypertext markup language) used to create a web page. On a website may contain multiple pages and each page is referred to as an HTML document (sometimes it is an HTML file). The father of HTML is Tim Berners-Lee, also the founder of the World Wide Web and chairman of the World Wide Web Consortium (W3C). An HTML document formed by HTML Elements is defined by tag pairs, wrapped in double quotes (eg, <html>), and usually Declared in pairs, including open and closed tags (for example <strong> and </ strong>). Texts that want to be marked with HTML will be declared inside the tag pair (for example, <strong> This is bold </ strong>). However, some special tags do not have a closing tag, and the declared data is in attributes (such as an <img> tag). An HTML file will include HTML elements and be saved under the .html or .htm extension. When an HTML file is created, processing of it is done by the web browser. The browser will play the role of reading the HTML content from the tags inside and will convert it into readable, understandable or understandable text (understood by computer bots). As mentioned above, HTML will be declared with elements by keywords. The content inside the keyword pair will be the content you need to format with HTML. The example below is an HTML snippet that says a piece of text. A tag can use multiple attributes, not just one. What program to create HTML files? HTML is a hypertext document so you can use text-editing programs without the formatting function to create an HTML file. In Windows, you can use Notepad to create an HTML file, while on a Mac you can use TextEdit and Vim on other Linux operating systems. As long as you then have to save the file as .html and use the website browser to read it. Any simple text editor can edit HTML. Any simple text editor can edit HTML. However, Notepad is too simple to use for editing purposes, so from the following, we will use a similar program to edit the HTML. Moreover, I never encourage you to edit any HTML file with the Notepad program to avoid the presence of Vietnamese characters. What role does HTML play in the website? As said, HTML is a hypertext markup language, so it will play the role of building a hypertext link on a website or declaring digital media such as images, videos, music. HTML – Build the structure and format of hypertext. PHP – A programming language for processing and exchanging data between servers and browsers (e.g., posts are stored in the server). MySQL – Structured query database (SQL – such as posts will be saved as SQL data). So, no matter what kind of website, with which programming language to process data, still need HTML to display content for visitors view.